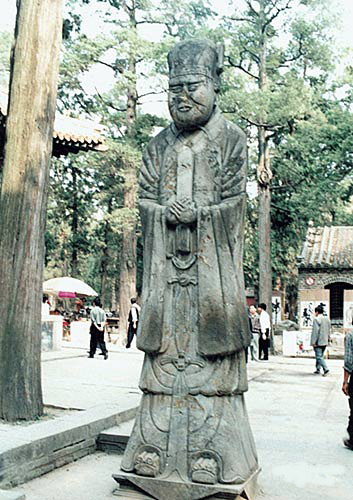 Confucius Forest is located in Qufu City of Shandong Province. 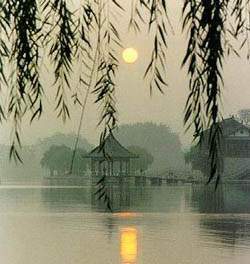 Confucius Forest is the largest and oldest family cemetery. Confucius and his descendants rest amid trees, pavilions and statues. As a result of textual research, Confucius Forest has lasted for more than 2,40 years. According to historical records, Confucius was buried here after his death. At first, the graveyard was 1 qing (6.6667 hectares) but had reached more than 3,000 mu (200 hectares) in the Qing Dynasty (1644-1911), since it received fields from the emperor of every dynasty. 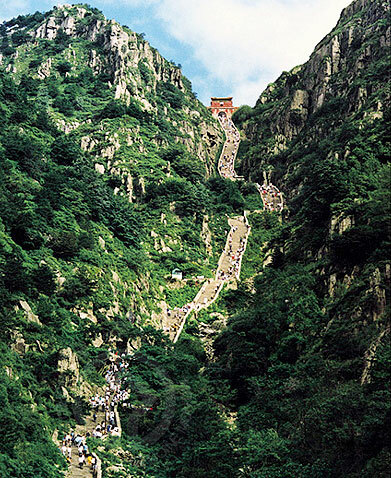 Confucius Forest has a bounding wall of 7km in length with more than 10,000 graves in it. The graves spread all over the ground in Confucius Forest, and the stone tablets stand in great numbers. There are also several other famous historic sites. The tomb of Confucius is in the northwest of the graveyard for the Eastern Zhou Dynasty (770-256BC). A monument established in the eighth year of the Zhengtong reign in the Ming Dynasty (1644-1911) stands in front of the tomb, to the east of which is the tomb of Kong Li, Confucius's son, and to the south is the tomb of Kong Ji, Confucius's grandson. This layout of graveyard was called carrying the son and holding the grandson in ancient times. Nearby, there is Zigong's (a student of Confucius) house for guarding the tomb. It is recorded in Shi Ji (The Records of the Great Historian) that after the death of Confucius, his disciples all built houses to guard the tomb, and mourned for three years. Zigong mourned for another three years due to his deep mourning for Confucius. In the Ming Dynasty, the three houses were rebuilt, and a monument was set to commemorate it. There is a Chinese pistache in front of the Kai Pavilion, which is said to be planted by Zigong . Furthermore, the tomb of a famous litterateur Kong Shangren in the Qing Dynasty, the tomb of Emperor Qianlong's daughter Yu Shi, and so on are all the famous historic sites in Confucius Forest. In Confucius Forest, the old trees reach the sky, with dense branches and leaves keeping out the sunlight around the year. According to statistics, there are dozens of kinds of rare old trees, such as Chinese pistache, cypress, Chinese juniper, and oak, amounting to more than 20,000 trees.